Our very popular Uplighting is an incredible decorative enhancement! These lighting fixtures are setup on the ground and shine vertically upwards on walls, totems, trees and more. 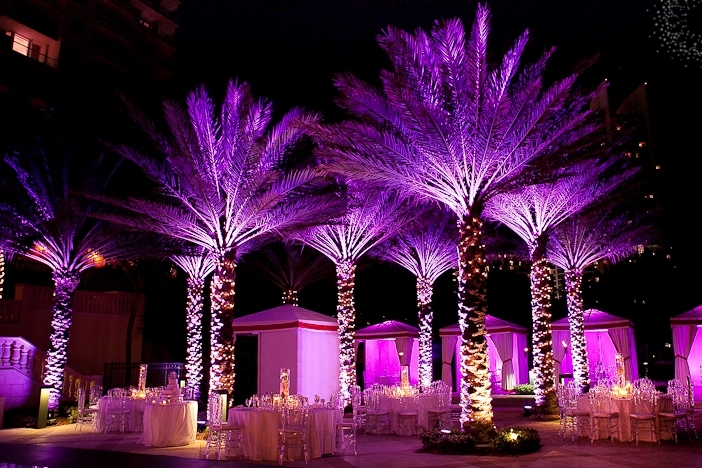 We can match your event color theme, or make them interact perfectly in sync with the music. 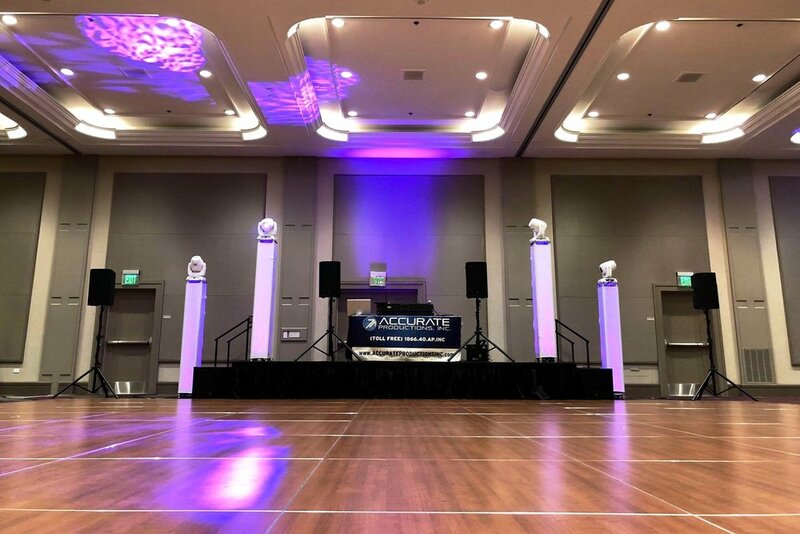 This lighting enhancement will literally change the overall look of your event space and create a "Wow" factor for you and all of your guests! Our Lighting Towers create the same experience that you receive at high-end nightclubs and weddings, or your most favorite pop icon's concert. This is the exact same lighting feature that creates a spotlight sweeping effect across the crowd. Say goodbye to those outdated and cheesy lights that produce a million colorful dots that shake back and forth all night. The lighting visually communicates the tone and feeling of the music. This will create an all around sensory experience for you and your guests! A Custom Monogram is a great way to add a personal signature to your event. We can project your names, initials, event date, company logo or school mascot. Simply send us the digital design file and let us know where you would like to project your monogram. We'll take care of the rest! 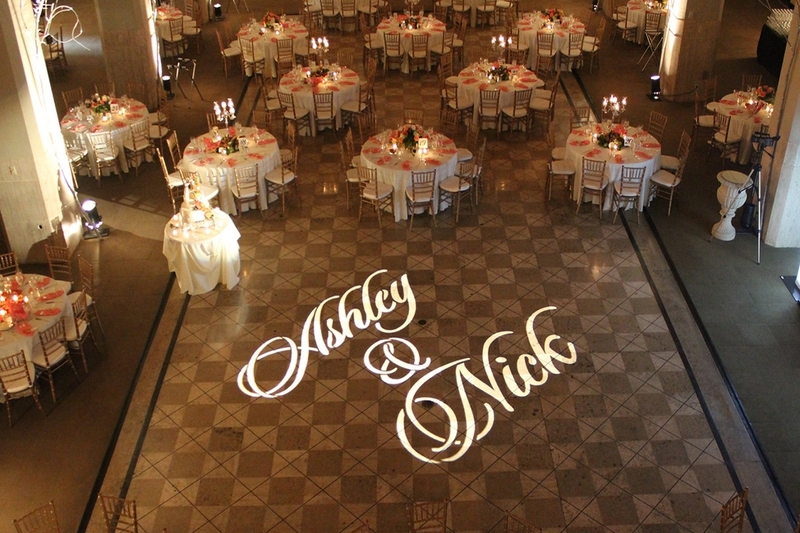 Similar to a monogram, our Pattern Projection will add an elevated and sophisticated look to your lighting design. 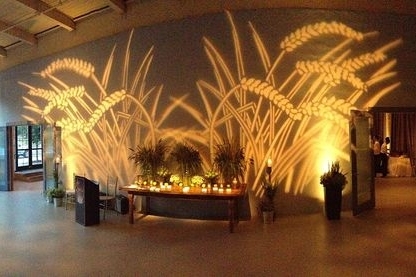 This lighting effect can decorate your event space in creative and jaw-dropping ways! This is also a great complement to a custom monogram.